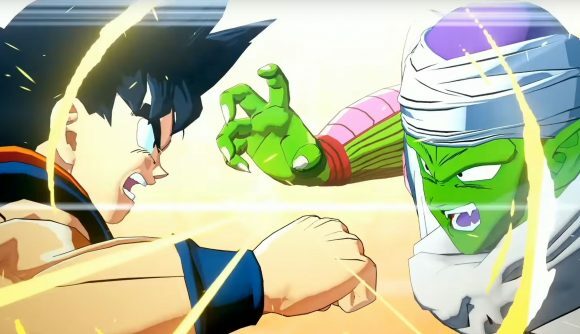 January 28, 2019: Bandai Namco has confirmed its new Dragon Ball game with a trailer posted earlier today. Bandai Namco is working on a new action RPG in the Dragon Ball universe, tentatively titled Project Z. A teaser image was posted last week, but some more official details were released in an early trailer posted to Twitter early this morning. The video, which you can check out further down this article, is pretty story heavy, seemingly introducing many of the anime’s characters and the world they inhabit, rather than building on the IP. Last week, Gematsu reported that the game – which is currently known only by its working title, Project Z – “depicts a never before expressed, nostalgic, and new Dragon Ball world,” suggesting we’ll get a story set around the start of the anime. Fan speculation that the title would be developed by Naruto Shippuden developer CyberConnect2 has been proved accurate. In a previous version of this article, Dustin said that he was excited to see the developer take on DBZ, and given that he knows much more about anime than me, I’d say that bodes well. You can check out the trailer for yourself below. As I mentioned, it’s pretty heavy on story, and light on gameplay, although we do get to see Goku walking through some colourful 2.5D environments. There’s been no shortage of bad Dragon Ball games over the years, though some good ones have crept in every now and then. Dragon Ball FighterZ, though, has raised the standards for what we can expect out of the license, hitting big sales numbers and player counts and drawing tons of entrants at events like Evo. We know that Project Z will release some time in 2019, so hopefully we’ll have some more information – you know, like gameplay footage and an actual title – in the not-too-distant future.